Tis the season to get bundled up, head out into that crisp winter air, and find a cosy corner to enjoy a steaming hot roast, hooray! Even if you miss the sunny days of summer, you can’t deny the appeal of a hearty meal and a beautiful glass of red wine with friends on a chilly Sunday afternoon. 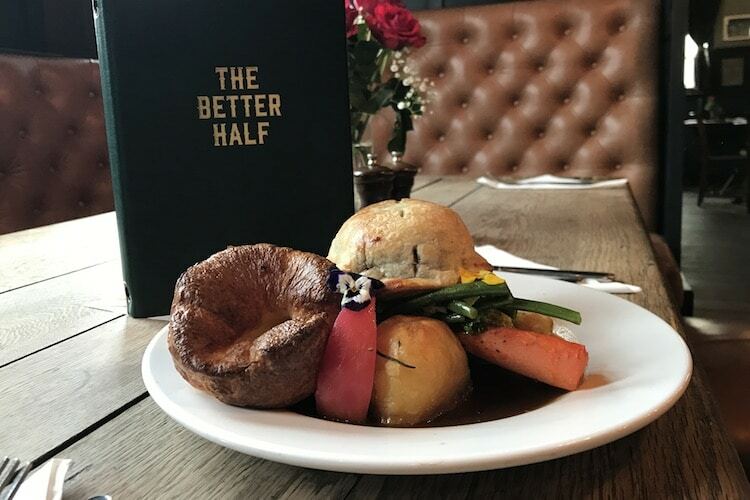 So when I was invited to come and indulge in a roast at Hove’s own Better Half pub, how could I say no! I don’t get out much at the moment as I have a very busy one-year-old. He isn’t the most patient or sedentary of beings, so I usually end up snarfing down cold potatoes while trying to keep him from climbing inside the fireplace. So when a saint-like friend of mine offered to babysit so that I could experience a hot roast from start to finish, I built him a small shrine and totally took him up on it. A whole afternoon of grown-upness. Total. Bliss. After dropping off my perfect angel of destruction and chaos, I picked up my bestie and we made a bee-line for the Better Half. My oasis for the afternoon was tucked away on a quiet little street in Hove only about a block from the seafront and a 5-minute walk from George Street. 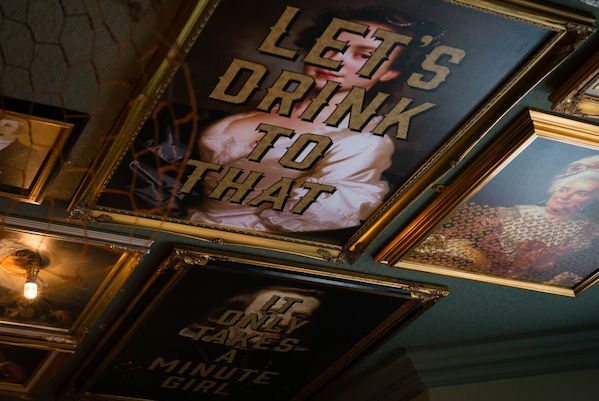 The decor in the Better Half is exceptional. 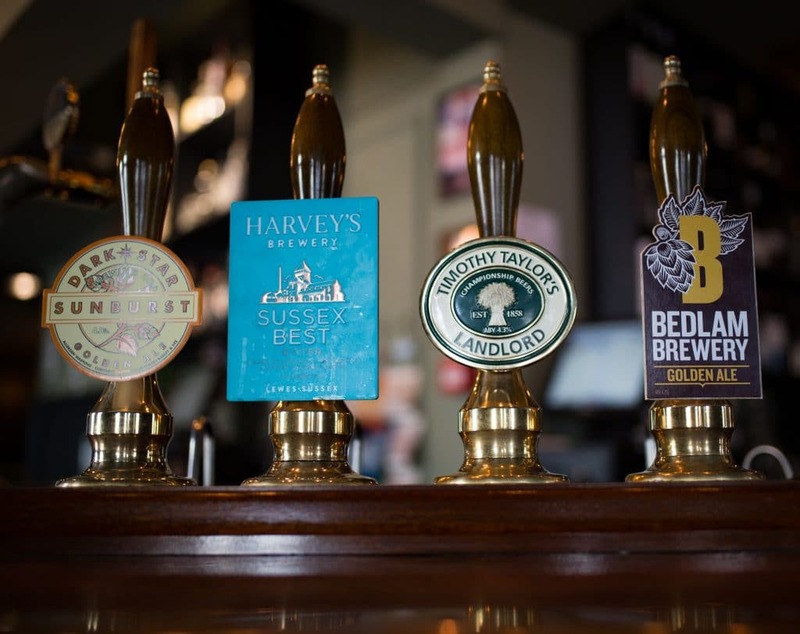 They have managed to keep the traditional pub feel and charming atmosphere while giving it a modern lift. 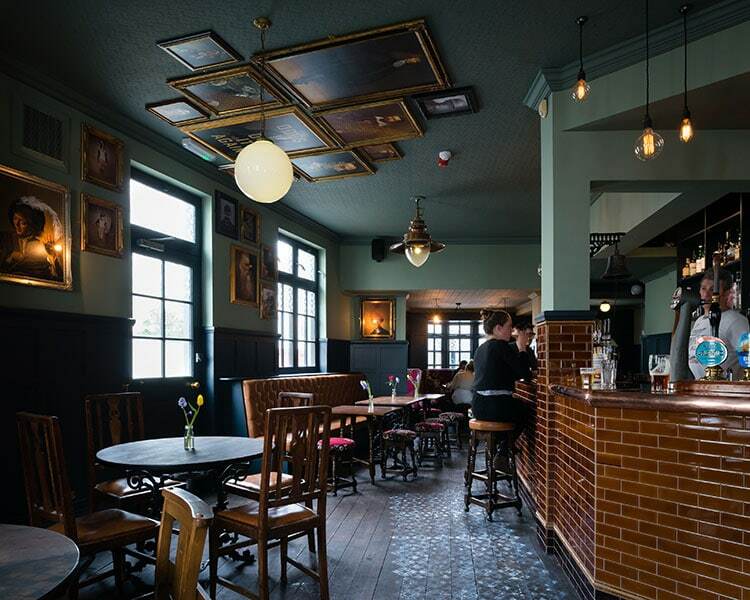 The copper light fixtures and a stunning copper top bar are beautiful and the artwork is a mix of traditional and modern. By its atmosphere and style alone I was already giving the Better Half top marks. Inside there is plenty of seating, but it’s definitely not crowded, and there are bigger booths and tables that can absolutely accommodate a big group or family. We were tucked into one of the smaller booths near the front which are private and cosy. With plush copper coloured leather seats, and low lighting it was intimate and quiet, even with a full buzzing restaurant. After getting settled in I was surprised to find that the Better Half offer full table service. What a treat! A very sweet waiter asked if we had any questions, and took our drinks order. I didn’t have to think twice, two large glasses of the Sugar Loaf Pinot Noir, please. This is one of my favourite New Zealand wines, flavourful, light, and sinfully easy to drink. The full wine list is excellent and well thought out, as there really is something for everyone, in cost and in flavour. 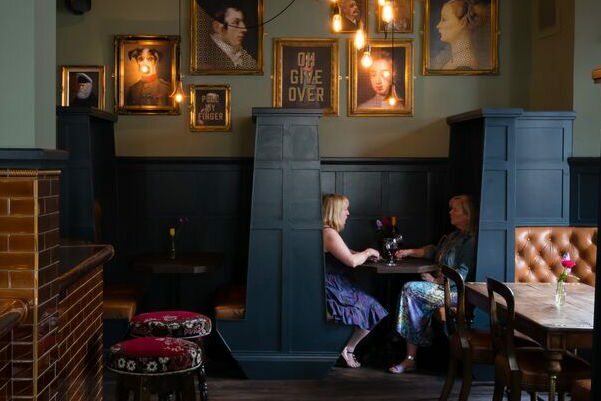 They also have an extensive ‘everything but wine’ list covering cocktails, specialist whiskies through to local craft beers, making it an ideal place for a party or a group roast. Now for the reason why we are all gathered here today…the roast. 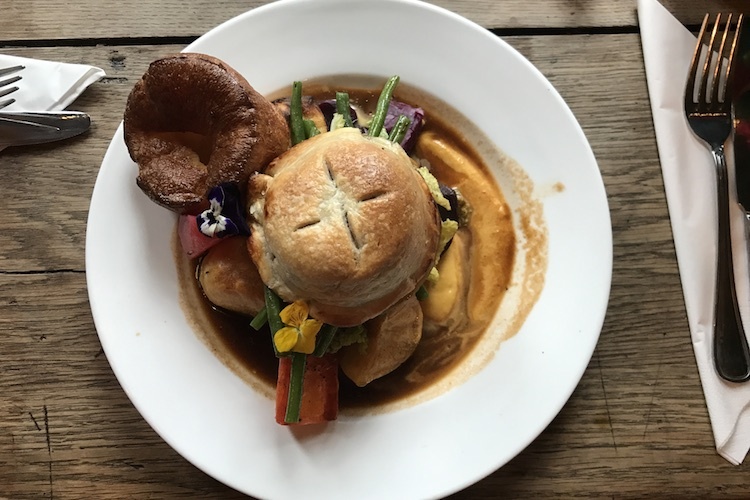 My bestie is a vegetarian and she had the choice of the mixed nut and vegetable croquette or the portobello mushroom wellington, both sounded excellent and she went with the Wellington. I had my choice of pork, beef, lamb, or chicken breast, all of which looked amazing as I perved on the plates coming out of the kitchen, in the end, I went for the topside of beef. When they arrived our plates were piping hot and looked wonderful. The Better Half has perfected the quintessential rainbow roast. 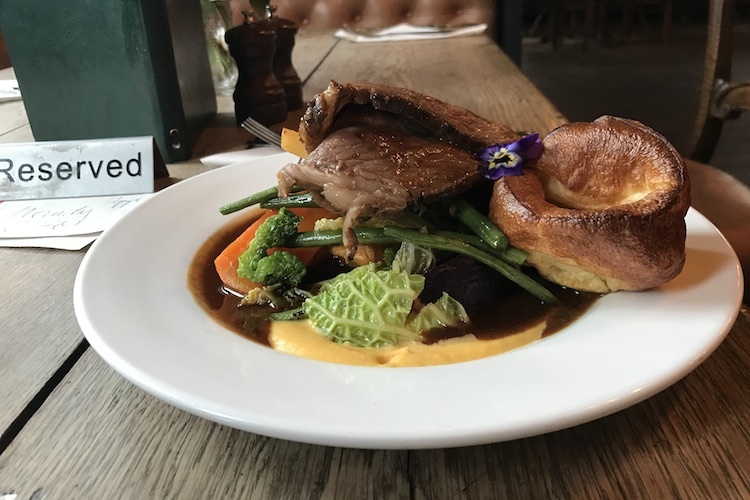 Crisp & fluffy roast potatoes, bright pink beetroot, white parsnips, orange carrots, green savoy cabbage, purple braised cabbage, and creamy yellow butternut squash puree, topped with a huge helping of roast beef and a crispy Yorkshire pudding. They even added tiny edible flowers which gave it a fine dining feel, I love the little touches. My beef was cooked medium and was tender and plentiful, drizzled with a tasty red wine gravy, and set atop a huge helping of colourful veg. I think a healthy portion of veggies is just as vital to a roast as the meat, and the Better Half definitely don’t skimp. Our plates were overflowing with perfectly cooked vegetables. The butternut squash puree was particularly amazing, it could have stood on its own as a soup. My bestie was LOVING her Wellington, and for good reason, it was a handmade shortcrust parcel filled with a whole portobello mushroom that was stuffed with mushroom tapenade. 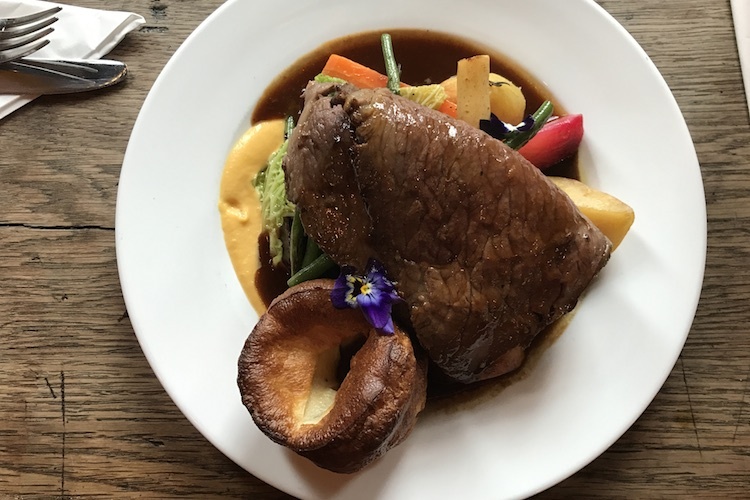 Its no secret that veggies can sometimes get the short end of the stick when it comes to a roast, but not at the Better Half, it was every bit as tasty as my beef and I would absolutely recommend it to anyone. Before we move on to the next course I would like to just say that this was my first roast since the birth of my son that I was able to eat from start to finish while it was still hot! Thankfully it was everything I had hoped and dreamed…and believe me I dreamed about it a lot. After a short break filled with adult conversation and lazy wine sipping, our waiter returned with dessert menus. While we looked at the options we discussed how exceptional the service was so far. 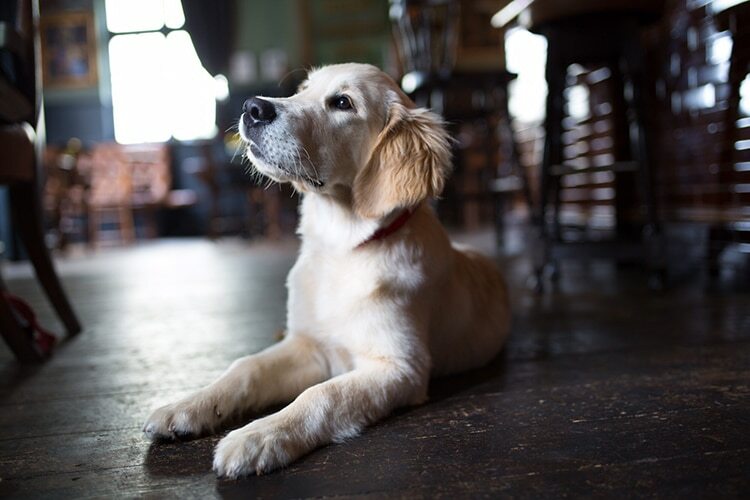 For a very busy Sunday there was plenty of staff on hand to run food, clear tables, and generally just give friendly service, we were both very impressed. 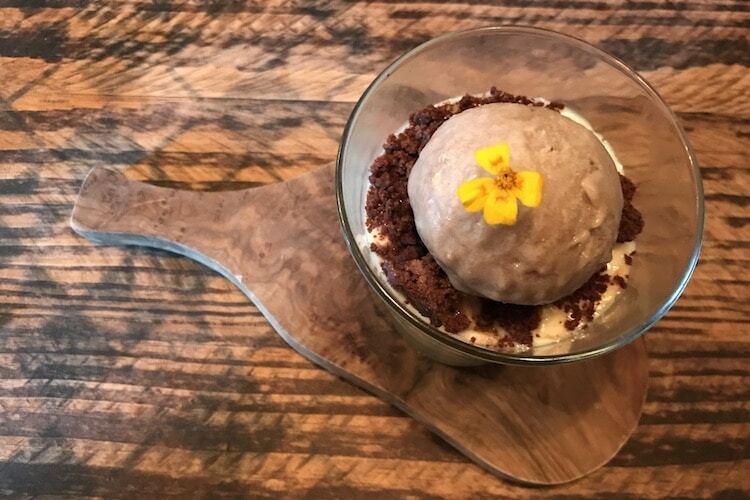 Finally, we decided to share the banoffee pie served in a glass with home-made roasted banana sorbet and the deconstructed vanilla cheesecake with berry compote. 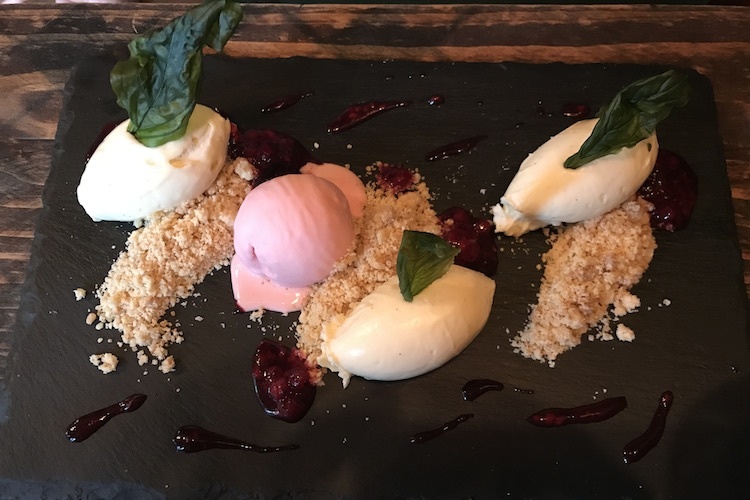 Originally we were drawn to the rhubarb crumble, but the chef wasn’t happy with the quality of the fruit so had taken it off the menu. For me this was big positive; if you have a Chef that won’t serve you something that they aren’t 100% proud of, then you know that they have taken pride in every single item coming out of their kitchen, well-done Chef. When our desserts arrived they looked amazing. My deconstructed cheese cake was a work of art with each of the elements showcased separately. Each piece of the dish was delicious on its own, and when taken as one bite it had a little of everything, crunchy, sweet, savoury, and sour yumminess. The Banoffee pie was totally different, with all the elements contained in a glass, topped with crispy bits of banana and crunchy toffee. I loved the home-made sorbet and I will have to bring my hubby back to have a try, as I know this would be his idea of heaven. As I am sure you can tell I loved my day of freedom and my Better Half roast experience. The service was excellent, my roast was delicious, the wine was on point, and the dessert divine. 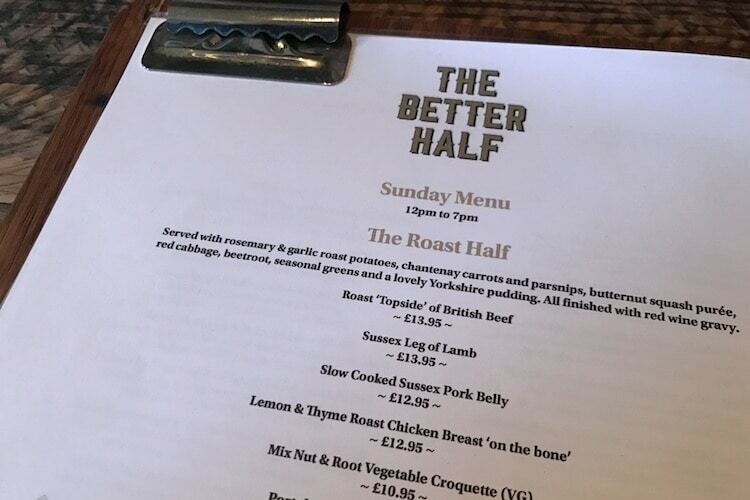 I would wholeheartedly recommend the Better Half to anyone looking for a fantastic roast in a friendly, cosy pub.